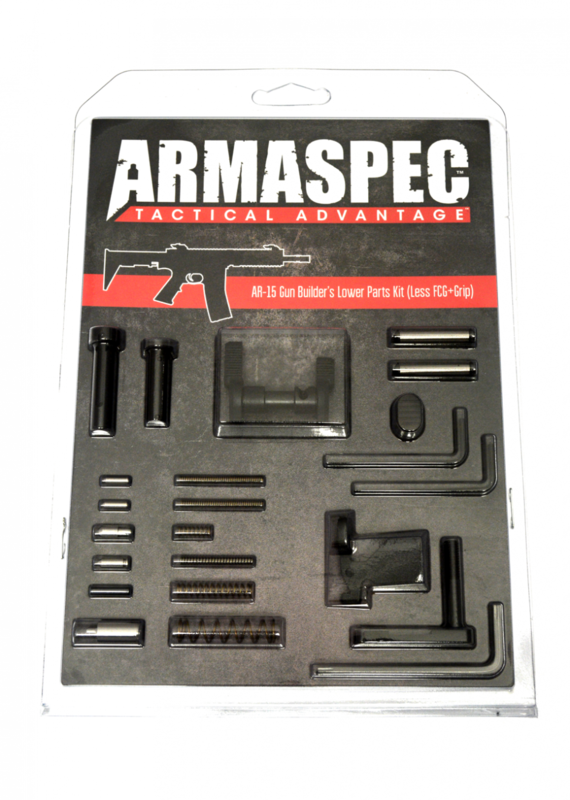 Armaspec Stainless Steel Gun Builder’s Lower Parts Kit less Trigger Group & Grip for .223/5.56 . If you are looking for a high end gun builder’s kit, than this one is for you. It incorporates all the great products from Armaspec in one package. SKU: ARM151-BLU. Category: Armaspec. Tags: 5.56, Ambidextrous, American Made, AR-15, Armaspec, Gun Builders Kit, Lifetime Warranty, LPK. Note: This is “NOT” a complete lower parts kit. This is a builder’s kit. 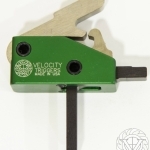 This Kit does not include the Pistol Grip, Pistol Grip Screw and Washer, Trigger and Hammer, Trigger and Hammer Springs, Disconnect, Disconnect Spring, Trigger Guard and Roll Pin.